Product information "Germany stein with Eagle and famous city’s surrounding it"
Germany stein with Eagle on the front, famous city’s surrounding it and on top the 16 different state crests. Painted by hand in yellow designing. Authentic German stein mug. 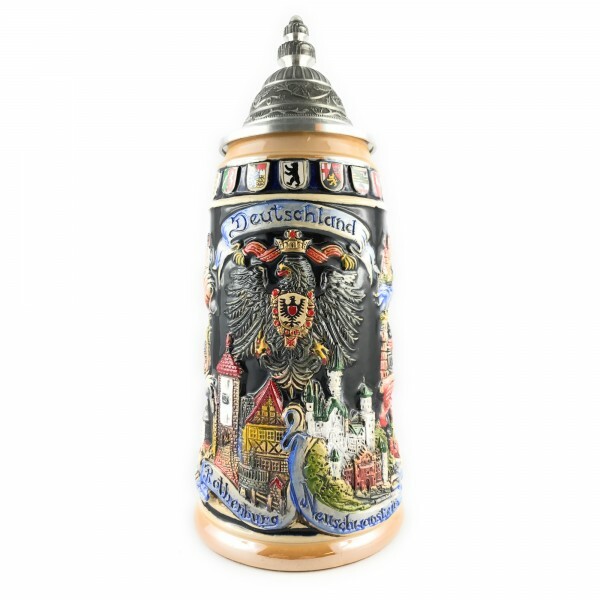 Related links to "Germany stein with Eagle and famous city’s surrounding it"
Customer evaluation for "Germany stein with Eagle and famous city’s surrounding it"